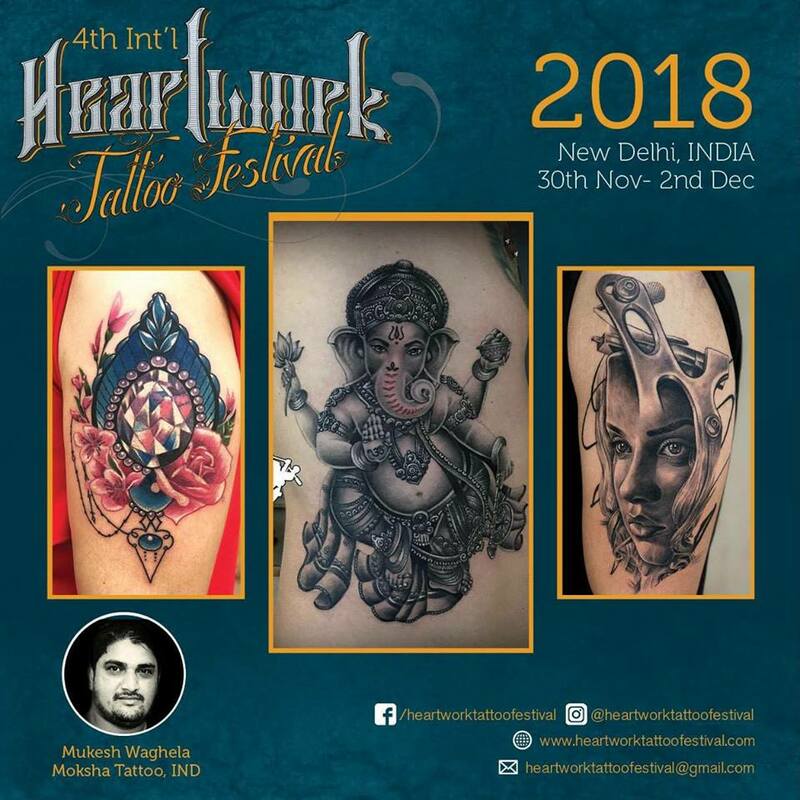 Tattoo lovers out there in Delhi We will be in Dehli at the 4th international Heartwork Tattoo Festival, on 30th November 2018,1st & 2nd December 2018!!! This one is going in to be crazy guyz!!! Be there to witness this epic and the most awaited tattoo festival organised by sir Lokesh Verma and sir Sameer Patange Arvind Garg (Tattoo Gizmo Official) be there guyz!!! Anybody interested to get Tattooed by me can see us there. You can contact Mukesh Waghela from Moksha Tattoo Studio book your appointment in advance so accordingly the appointments can be scheduled! contact Moksha Tattoo Studio Goa India. Moksha Tattoo Studio – Specialises in portrait tattoo, tribal tattoo, custom tattoo and will design any tattoo to your needs for the best tattoo result. With over Seven years experience, Mukesh today is one of Goa’s leading tattoo artists. Mukesh is a certified tattoo artist from the THAILAND TATTOO SCHOOL. Copyright © 2017 - 2019 Moksha Tattoo Studio. Designed By Ayden Technologies.